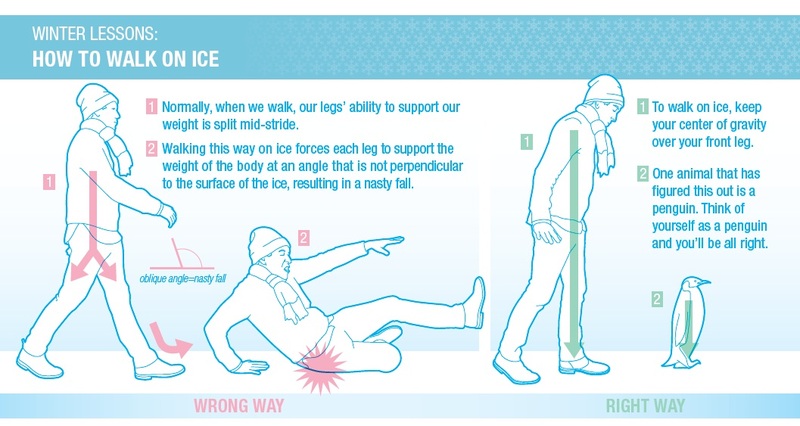 Icy conditions are no fun, especially if you have poor balance. If you shift your center-of-gravity over your front facing foot instead of splitting it evenly between your feet, you can more easily walk across icy surfaces without falling quite so much. Penguins have figured this out, as have many who live in areas covered by ice for weeks each year.